The Civil Rights Movement saw a number of tragic incidents during the 1950s and 60s. In The Parchman Ordeal, G. Mark LaFrancis, Robert Morgan, and Darrell White explore the experiences of over a hundred activists at the Mississippi State Penitentiary in Parchman. 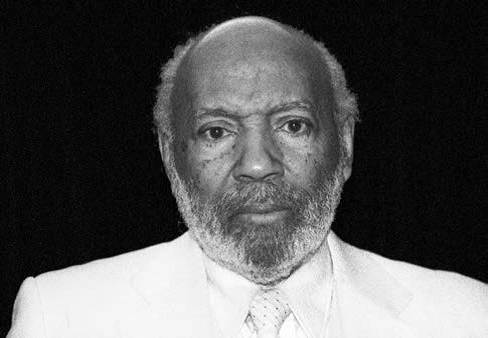 In this exclusive look at the book, renowned activist and writer James Meredith introduces the story to readers. Reverend Martin Luther King Jr. and Medgar Evers; the brutal slaying of young Emmett Till; the murders of the Neshoba County Three; and my own struggle with Ole Miss. However, until now, discussion of the Parchman Ordeal has remained silent on the national scene. You will not read about it in history books nor see it on panels in museums or memorials. Yet the Parchman Ordeal is a scar on Mississippi’s history that remained unhealed for a half century. It is my hope that this book will help be a salve to the 150 or so young men and women who unnecessarily endured humiliation, punishment and abuse in October 1965 at the Mississippi State Penitentiary in Parchman, Mississippi. Their “infraction”: attempting to walk peacefully in the public streets of Natchez to show their support for equal rights and voting rights. Also, you will read the extraordinary steps that unfolded before the Parchman Ordeal occurred: the attempted murder of a beloved Natchez NAACP leader; the ruthless attacks of a sinister arm of the Ku Klux Klan and the passionate and reasonable requests of Natchez African Americans of their city government; and the rejection of those appeals. You will also read about the full breadth of the African American experience in Mississippi: slavery, Reconstruction, Jim Crow, Black Codes, the Sovereignty Commission and the terrible abuse of the Freedom Riders. Remarkably, the Parchman Ordeal survivors opened their hearts and souls to the authors, exposing the raw and painful experience to which they were subjected as mere teens and young adults. Some of what you read will be uncomfortable, as it should. Yet this book shares their courage, inspiration and strength. The authors need to be applauded for their passion in telling this story. They have spent hundreds of uncompensated hours on this book and a documentary, The Parchman Ordeal: The Untold Story, which has been received with acclaim at national film festivals and was declared the “Most Transformative Film” at the 2017 Crossroads Film Festival in Mississippi. The film also was aired on Mississippi Public Broadcasting. So be prepared to be amazed, moved and inspired by this most incredible chapter in the civil rights movement…finally told.